What Was Your M/M Gateway Book? Alas, we did not grow up in such a society. At least I didn’t—and if you did, please tell me where it is so I can move there. So those of us enthralled by the M/M romance world, or the world of queer authors and characters, each had the equivalent of the cherry pop. Maybe you learned about M/M, F/F, M/M/F, bi, trans, et al, romances through fan-fiction, as I did (Lindsay/Angel, hi!). Maybe a trusted friend of yours recced a book that you read against your better judgment, and then you found your craic. Maybe you read them for political reasons—who knows? However you got there, I want to hear about it! Tell me about the first book that made you weak-kneed; made you rethink your reading choices; made you stay up until all hours of the night, frothing at the mouth like some were-thing until you’d consumed the whole book and collapsed on your bed, satisfied but devastated that it had to end. Hit me up in the comments—I want to hear your stories! As for my own… I did start with fan-fiction, but in terms of original fiction there are two books specifically that shaped my tastes in the M/M genre and are the standard against which I measure greatness. I really wish I could include Brokeback Mountain in this list, but unfortunately I read it much, much later. But you won’t go wrong if you read either of these exceptional—if perhaps unsurprising—books. I know I’m not the only M/M reader to cite this book as their first or their favorite (ahem, Josh Lanyon), and there’s good reason for that. 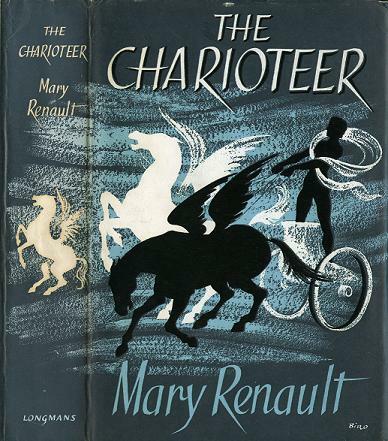 Though technically I first read The Last of the Wine, that book was much more about life as an ancient Greek, while in The Charioteer the romance aspect is much more prominent. It’s the story of Laurie, a wounded British WWII soldier who is battling his own discomfort with being gay and all that means in the repressive society he lives in. Romantically, he is torn between Andrew, a Quaker and conscientious objector, and Ralph, a old friend and hard-partying naval officer who is involved in the gay subculture of the time. Renault is a master of setting, indelibly recreating the time period that she herself lived through, and imbuing her characters with complexity, passion, and authenticity. If the storyline seems rudimentary to someone who has by now read a lot of these books, that’s because it’s the blueprint that so many ‘coming out’ and ‘coming to terms with your sexuality’ books used as inspiration. It is in every way a classic of the genre, and a deeply moving read. And if the BBC had any balls, they would adapt this gem into an award-winner. Richard St. Vier is everything you could want in a romantic hero: noble, dashing, down-on-his-luck, loyal, stoic, and true. 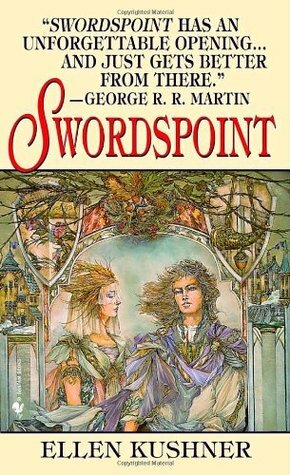 He is a sword for hire in a vicious caste society that puts the schemers of Westeros to shame. Alec Campion, a student of the strident and relentless variety, falls into his life and his bed at the worst possible time, and chaos ensues from there. Come for the compelling push-pull of their relationship as they learn exactly what they’ll have to sacrifice to protect each other; stay for the machinations and dirty dealings of a society that magic has abandoned, where the two-faced aristocrats of the Hill will do everything in their power to crush the people of Riverside and each other. This one will break your heart while making you believe again, it’s that good. Your turn. What M/M (or F/F, or M/M/F, etc.) was ‘the one’ for you? Can’t wait to put it on my own ‘to read’ list!